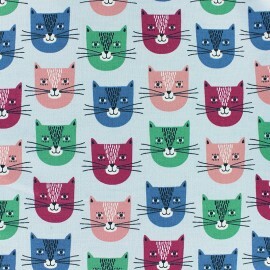 Enjoy our wide selection of fashion fabrics by Poppy design. 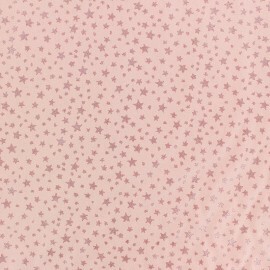 Fabulous Oeko-Tex certified poplin fabric with iridescent star patterns on a peach pink background. High-quality Poppy fabrics, Oeko-Tex certified with trendy and colorful patterns. 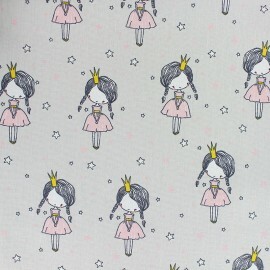 Fall for this Little Princess cotton poplin fabric awith pretty crowned little princess on a light grey background. Make pretty clothes and accessories for summertime! 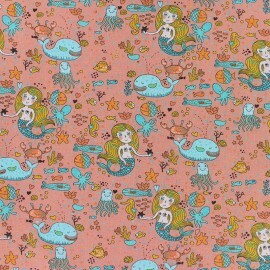 High-quality Poppy fabrics, Oeko-Tex certified with trendy and colorful patterns. 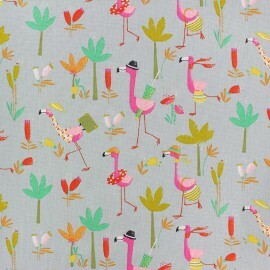 Fall for this Flamingo Run cotton poplin fabric and its funny pink flamingo patterns ready for beach holidays with sunshades and buoys under their wings on a light grey background. Make pretty clothes and accessories for summertime! High-quality Poppy fabrics, Oeko-Tex certified with trendy and colorful patterns. 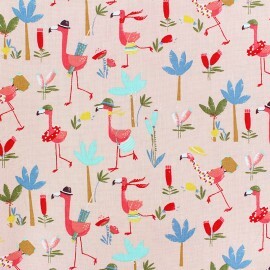 Fall for this Flamingo Run cotton poplin fabric and its funny pink flamingo patterns ready for beach holidays with sunshades and buoys under their wings on a light coral pink background. Make pretty clothes and accessories for summertime! 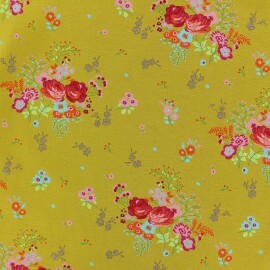 High-quality Poppy fabrics, Oeko-Tex certified with trendy and colorful patterns. 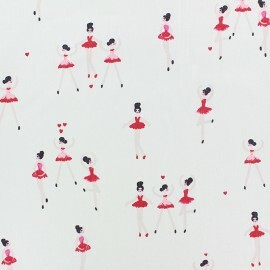 Fall for this Dancing Variations cotton poplin fabric and its pretty ballerinas working on choreography on a white background. Make pretty clothes and accessories for kids! High-quality Poppy fabrics, Oeko-Tex certified with trendy and colorful patterns. 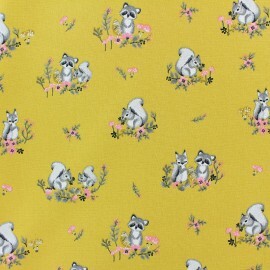 Fall for this Little friends cotton poplin fabric and its pretty forest animal patterns on a mustard yellow background. Make pretty clothes and accessories for kids! 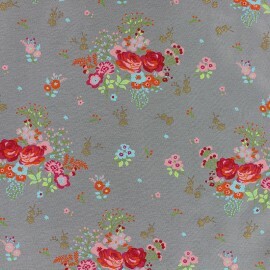 High-quality Poppy fabrics, Oeko-Tex certified with trendy and colorful patterns. 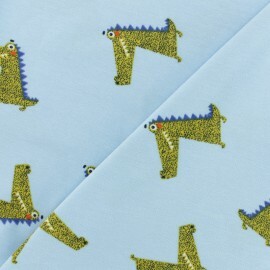 Fall for this Little friends cotton poplin fabric and its pretty forest animal patterns on a white background. Make pretty clothes and accessories for kids! 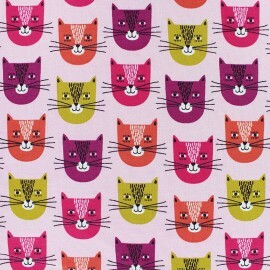 High-quality Poppy fabrics, Oeko-Tex certified with trendy and colorful patterns. Fall for this Girls Stuff cotton poplin fabric and its pretty funny girls accessories patterns on a mustard yellow background. Make pretty clothes and accessories for kids! 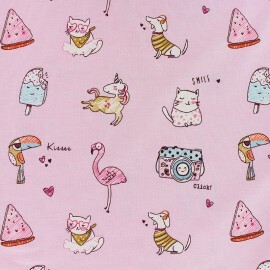 With this fabric, you will finally know what is hidden inside the girl's bag! 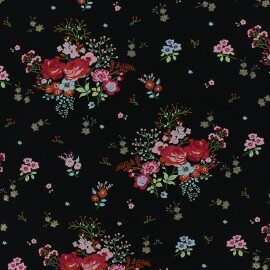 High-quality Poppy fabrics, Oeko-Tex certified with trendy and colorful patterns. 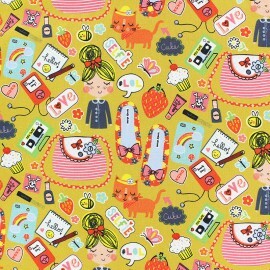 Fall for this Girls Stuff cotton poplin fabric and its pretty funny girls accessories patterns on a white background. Make pretty clothes and accessories for kids! 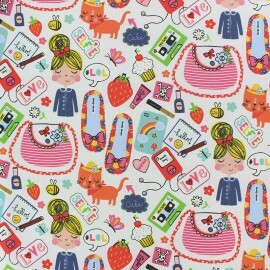 With this fabric, you will finally know what is hidden inside the girl's bag! High-quality Poppy fabrics, Oeko-Tex certified with trendy and colorful patterns. 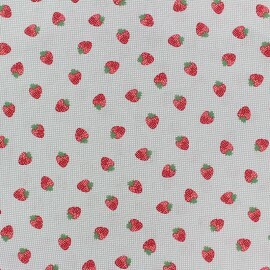 Fall for this Strawberry fields cotton poplin fabric and its pretty strawberry patterns on a light grey background. Make pretty clothes and accessories for summertime! High-quality Poppy fabrics, Oeko-Tex certified with trendy and colorful patterns. 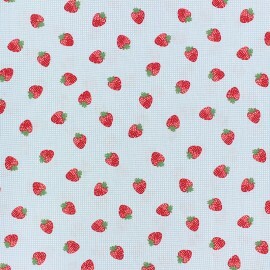 Fall for this Strawberry fields cotton poplin fabric and its pretty strawberry patterns on a light blue background. Make pretty clothes and accessories for summertime! High-quality Poppy fabrics, Oeko-Tex certified with trendy and colorful patterns. 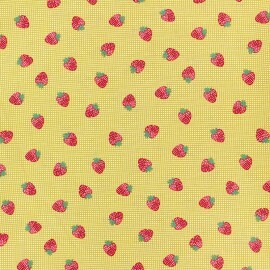 Fall for this Strawberry fields cotton poplin fabric and its pretty strawberry patterns on a yellow background. Make pretty clothes and accessories for summertime! 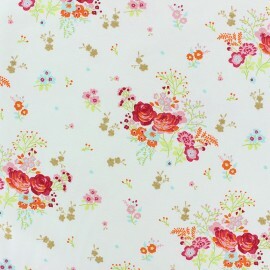 High-quality Poppy fabrics, Oeko-Tex certified with trendy and colorful patterns. 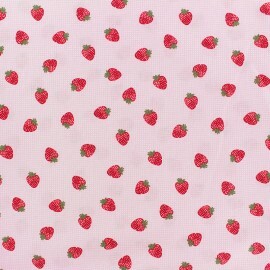 Fall for this Strawberry fields cotton poplin fabric and its pretty strawberry patterns on a pink background. Make pretty clothes and accessories for summertime! 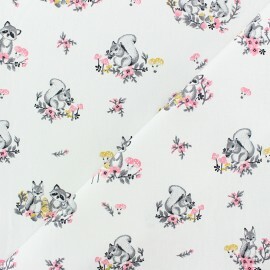 Fall for this white English Breakfast cotton jersey fabric. 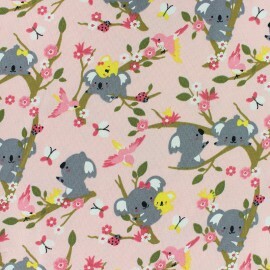 Designed By Poppy and Oeko-Tex certified, this jersey with cute patterns will be perfect any type of original and comfortable creations : tee-shirt, dress, jogging, pajamas ... 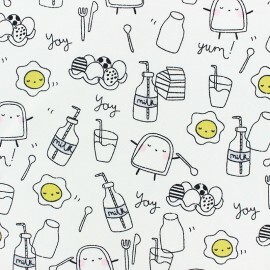 These adorable patterns of toasts, fried eggs and milk bottles will delight all little gourmets! 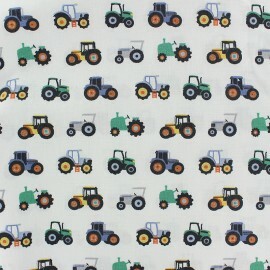 Fall for this English Breakfast cotton jersey fabric. 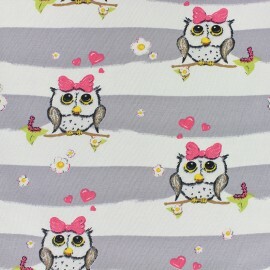 Designed By Poppy and Oeko-Tex certified, this jersey with cute patterns will be perfect any type of original and comfortable creations : tee-shirt, dress, jogging, pajamas ... 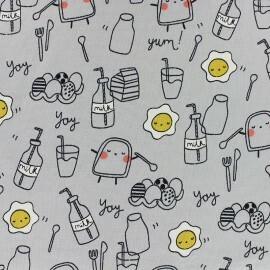 These adorable patterns of toasts, fried eggs and milk bottles will delight all little gourmets! 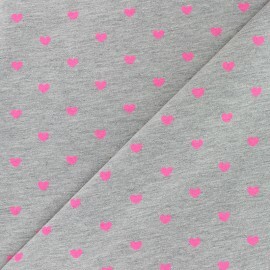 This Super heart jersey fabric by Poppy will be perfect any type of original and comfortable creations: T-shirt, dress, jogging, pajamas ...! 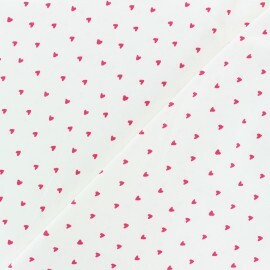 Oeko-Tex certified, with its pretty neon pink heart patterns on a mottled grey background, your teenagers will love it! 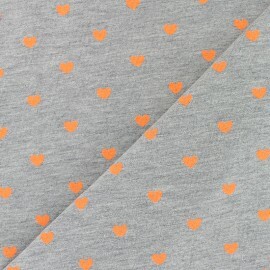 This Super heart jersey fabric by Poppy will be perfect any type of original and comfortable creations: T-shirt, dress, jogging, pajamas ...! 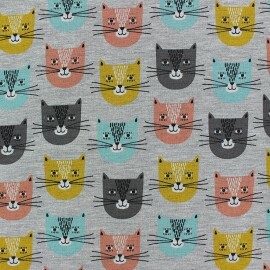 Oeko-Tex certified, with its pretty neon orange heart patterns on a mottled grey background, your teenagers will love it! 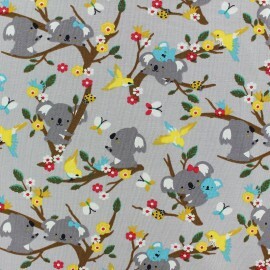 This Super cool jersey fabric by Poppy will be perfect any type of original and comfortable creations: T-shirt, dress, jogging, pajamas ...! 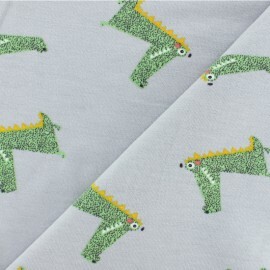 Oeko-Tex certified, with its original small neon green patterns: dinosaurs, skateboards, soccer balls... on a mottled grey background, rebellious teenagers will love it! 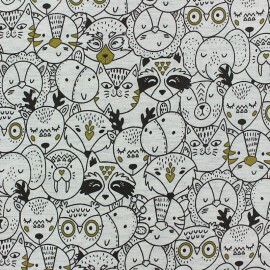 This Super cool jersey fabric by Poppy will be perfect any type of original and comfortable creations: T-shirt, dress, jogging, pajamas ...! Oeko-Tex certified, with its original small neon yellow pattern: dinosaurs, skateboards, soccer balls... on a mottled grey background, rebellious teenagers will love it! 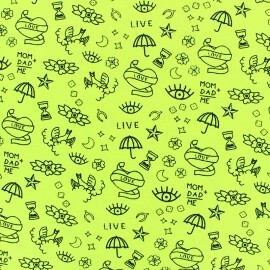 This Neon Tattoo jersey fabric by Poppy will be perfect any type of original and comfortable creations: T-shirt, dress, jogging, pajamas ...! Oeko-Tex certified, with its original tattoos pattern: heart, eyes and sparrow on a neon orange background, rebellious teenagers will love it! 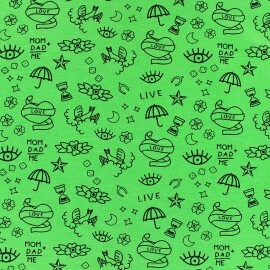 This Neon Tattoo jersey fabric by Poppy will be perfect any type of original and comfortable creations: T-shirt, dress, jogging, pajamas ...! Oeko-Tex certified, with its original tattoos pattern: heart, eyes and sparrow on a neon green background, rebellious teenagers will love it! 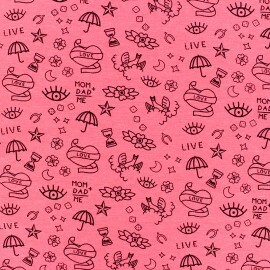 This Neon Tattoo jersey fabric by Poppy will be perfect any type of original and comfortable creations: T-shirt, dress, jogging, pajamas ...! 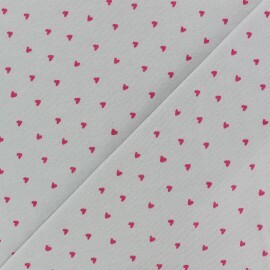 Oeko-Tex certified, with its original tattoos pattern: heart, eyes and sparrow on a neon pink background, rebellious teenagers will love it! 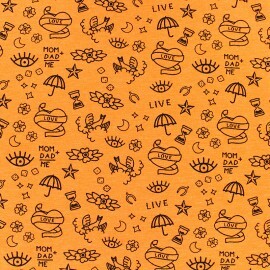 This Neon Tattoo jersey fabric by Poppy will be perfect any type of original and comfortable creations: T-shirt, dress, jogging, pajamas ...! 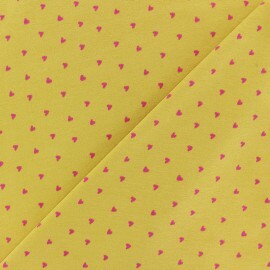 Oeko-Tex certified, with its original tattoos pattern: heart, eyes and sparrow on a neon yellow background, rebellious teenagers will love it! 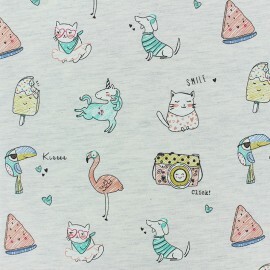 This Neon Rock jersey fabric by Poppy will be perfect any type of original and comfortable creations: T-shirt, dress, jogging, pajamas ...! 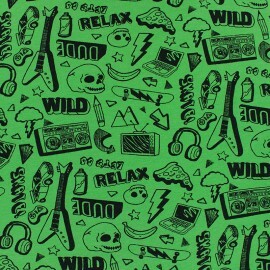 Oeko-Tex certified, with its rock'n'roll patterns: guitar, skull and skateboard on a neon green background, rebellious teenagers will love it! 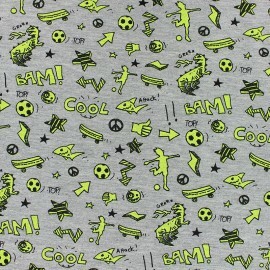 This Neon Rock jersey fabric by Poppy will be perfect any type of original and comfortable creations: T-shirt, dress, jogging, pajamas ...! 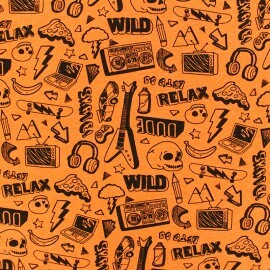 Oeko-Tex certified, with its rock'n'roll patterns: guitar, skull and skateboard on a neon orange background, rebellious teenagers will love it! 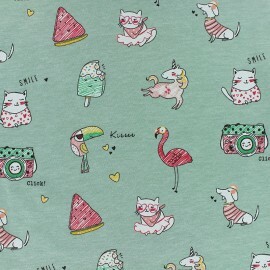 This Neon Rock jersey fabric by Poppy will be perfect any type of original and comfortable creations: T-shirt, dress, jogging, pajamas ...! 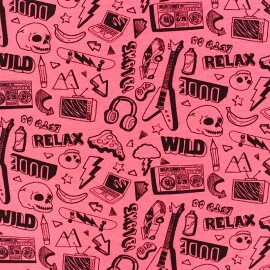 Oeko-Tex certified, with its rock'n'roll patterns: guitar, skull and skateboard on a neon pink background, rebellious teenagers will love it! 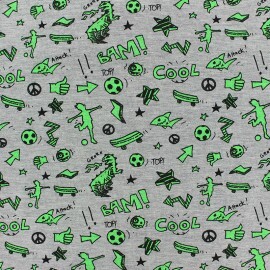 This Neon Rock jersey fabric by Poppy will be perfect any type of original and comfortable creations: T-shirt, dress, jogging, pajamas ...! 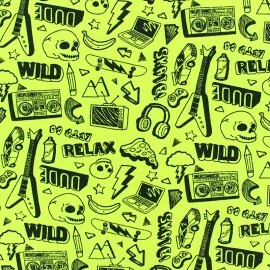 Oeko-Tex certified, with its rock'n'roll patterns: guitar, skull and skateboard on a neon yellow background, rebellious teenagers will love it!